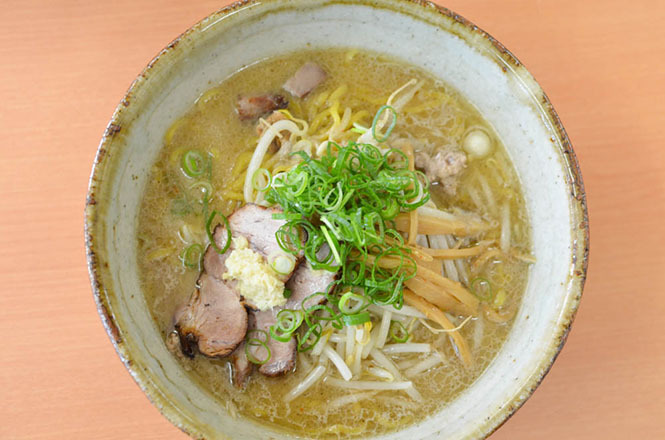 Menya Saimi (麺や彩未) is a popular ramen restaurant in Misono, Toyohira ward, Sapporo City. 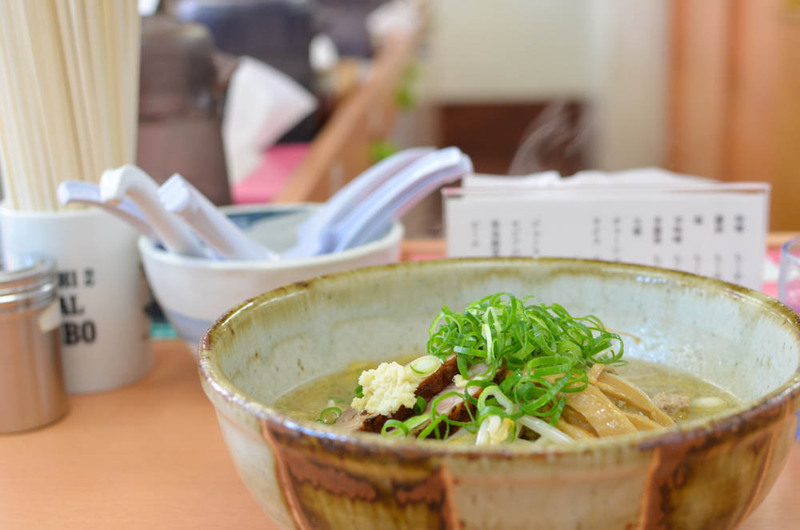 An owner was founded in 2000 after training cooking at famous ramen restraunt Sumire (すみれ). I heard from my friend that it was a popular ramen restaurant placed in the MICHELIN GUIDE Hokkaido 2012 Special Edition, so I visited here. 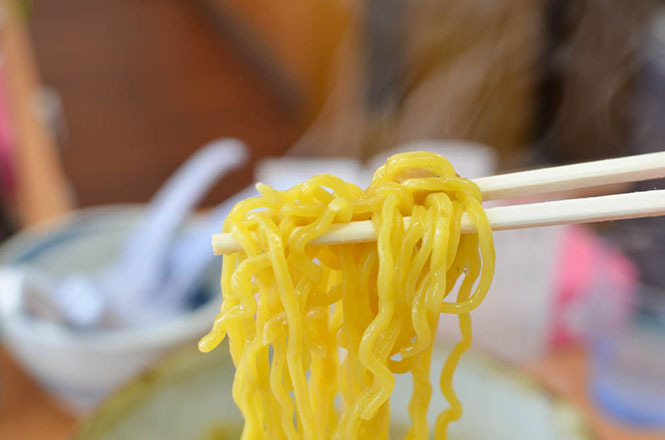 The ramen restaurant open a business at 11:00. I lined up 30 minutes ago. Preceding visitors were 5 people. Fortunately it opened at 10:45. Approximately 20 people were likely to form a line at that time. Because Saimi seem to have the longest line in Hokkaido, they are likely to have more long line at lunchtime. 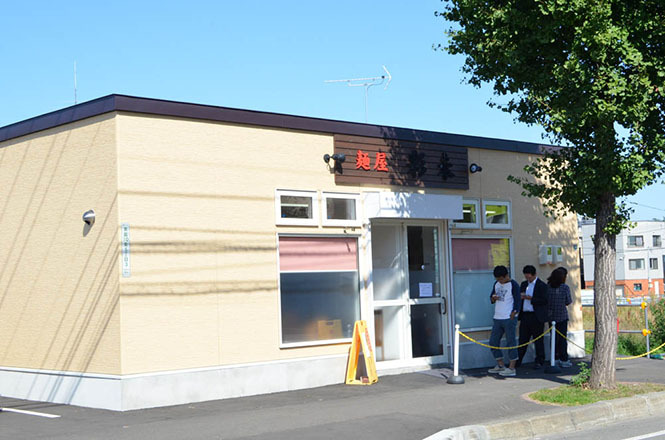 Because they moved to a new ramen restraunt in 2014, a building is new. But the ramen restraunt is not so large. I ordered miso broth ramen (味噌ラーメン) when I sat at a counter seat. The price is JPY 750. 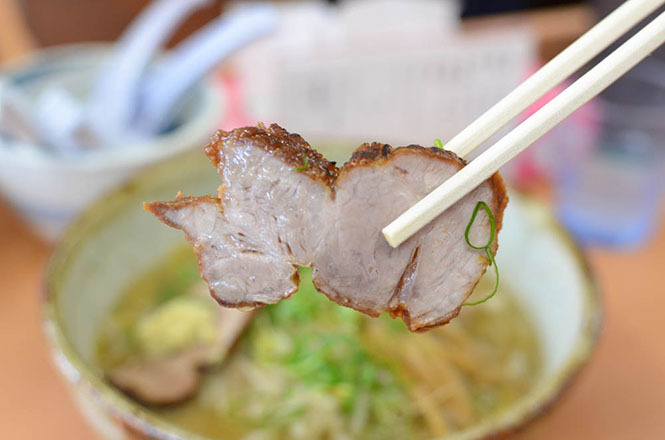 Other customers ordered miso broth ramen with extra roasted pork fillets (チャーシュー大盛) and extra noodles. The roasted pork fillets were popular. Approximately 10 minutes later, the miso broth ramen was served. 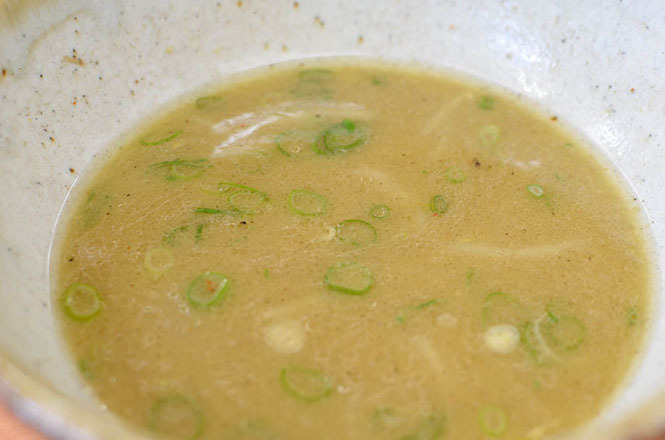 Grated ginger was put on the miso broth ramen. It was unusual! 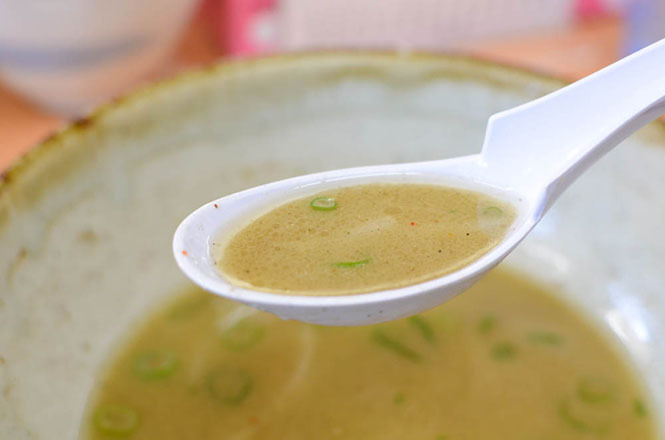 Soup was mild and had slightly miso flavor and had Umami. Noodles were curl noodles made by Morizumi Noodles Factory and went well with the soup. 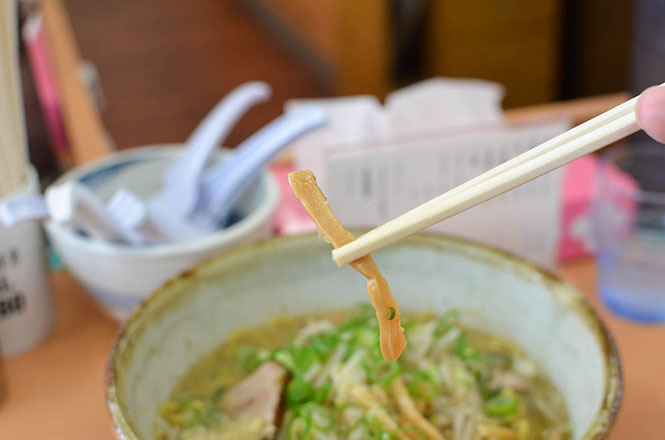 It is said that everybody want to eat the ramen even if they form a line. 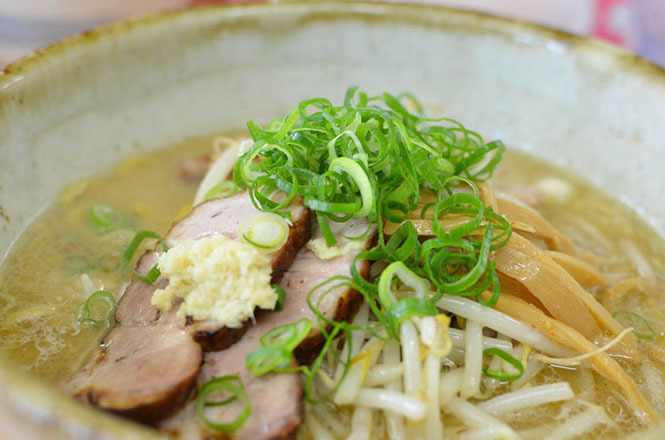 Miso Broth Ramen and Atmosphere of Ramen Restaurant Can Be Watched on Youtube.